← Close to the model (the closing-in phenomenon in Alzheimer disease). Idiopathic Cluster headache is a primary headache disorder with strictly unilateral attacks of disabling pain in the orbital region accompanied by vegetative phenomena (ptosis, red eye, myosis, nasal and ocular discharge) on the ispilateral face, each attack lasting between 15 and 180 minutes, occurring frequently at night at a fixed time. The attacks come in clusters with repeated attacks and free intervals. The pain is so intense that the patients say they would prefer to die or that they would prefer to bang the head against a wall. The cluster headache might occur preferentially in heavy tabacco and alcohol consumers. There are several pharmacological treatments which could be useful to abort and prevent the pain of the attack. However, oxygen therapy seems the most ideal treatment for the crisis as it is easy to use, has practically not side effects and its action is particularly fast and efficacious. The first description of such treatment was in the 1940. In the different published studies a good rate of success (crisis abortion in 60-80% of patients) has been reported with 100% O2 treatment at rates between 6-7 and 12l/min with a non-re-breather mask. The effect is generally favorable on pain but not on the vegetative signs. 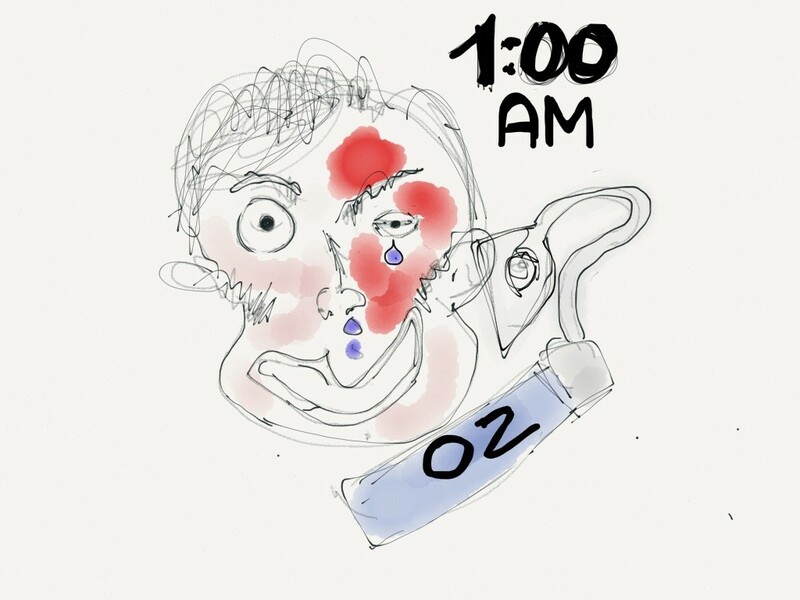 I know several patients with the chronic form of cluster headache who use to take with them oxygen almost all the time. However the access to oxygen for a newly diagnosed patient is always very difficult and finally, apparently, only a low percentage of patients are finally treated with oxygen in epidemiological studies. The studies which investigated its efficacy are still few and concerned few patients. The mechanism of action of the Oxygen therapy is quite unknown. What about oxygen therapy for other headaches?